Constantine “Con” Spinner was born in rural Village Creek, Allamakee County, Iowa on October 5, 1878, the youngest child of Peter and Catherine (Markt) Spinner’s eight children. One of the neighbors of the Spinner family was the Ole and Gustava (Larsen) Nelson family and their thirteen children. Nora Ottilia, born on January 21, 1879, was the sixth child of the Nelson family. 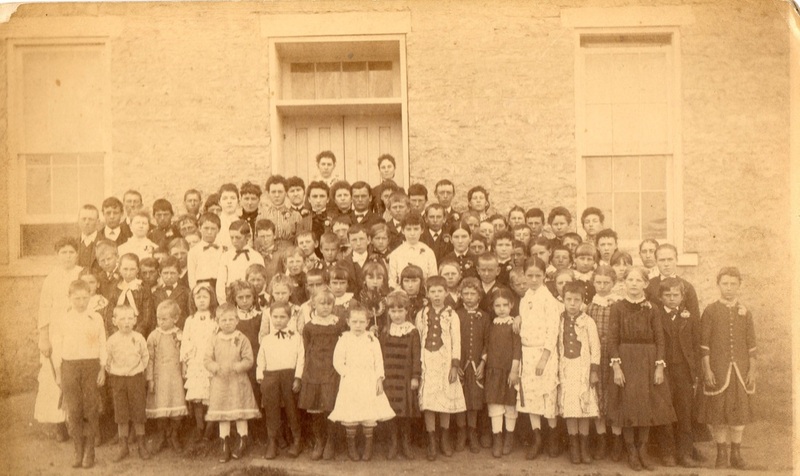 Con and Nora were educated at the two story stone building with bell tower that was built in 1880 to serve as the Village Creek School. This building still stands in Village Creek today. 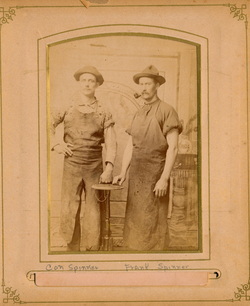 After he completed his schooling, Con opened his own blacksmith shop at the northwest corner of Second Street and John Street in Lansing, Iowa. He owned and operated this shop up to the final few months of his life. Con also worked as the town of Lansing night watchman in addition to operating his blacksmith shop. Following her education, Nora worked in Minneapolis for a period of time but then moved to LaCrosse, Wisconsin. On March 2, 1908, Con married Nora at St. Mary’s Catholic Church in LaCrosse, Wisconsin. The attendants were Peter Jacob Spinner, Con’s brother, and Miss Mae Hurm, Nora’s friend, of LaCrosse. They took their honeymoon trip to St. Paul, Minnesota and then moved into their home on the Mississippi River at North Front Street in Lansing, where they lived their entire life. 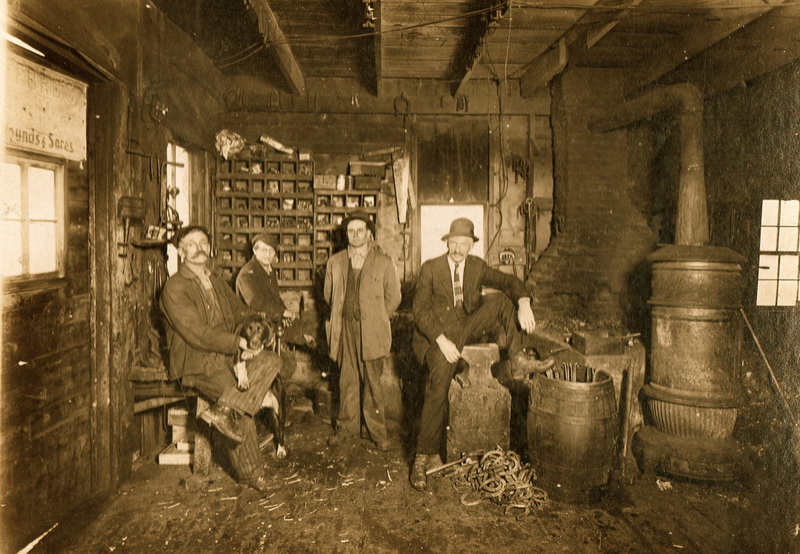 Con opened his own blacksmith shop at the northwest corner of Second Street and John Street in Lansing, Iowa. He owned and operated this shop up to the final few months of his life. 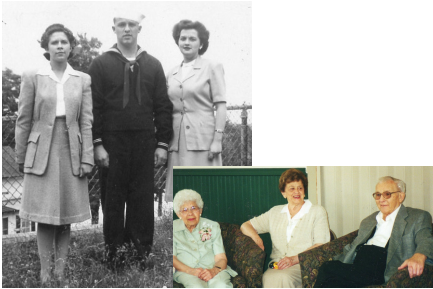 Con and Nora had four children: Lenore, Norbert, Ruth and Bernice and five grandchildren. Lenore and Bernice never married. Norbert married Helen Ferring from rural Lansing and they had four children. Ruth married Tim Murphy from Milwaukee, Wisconsin and they had one daughter. 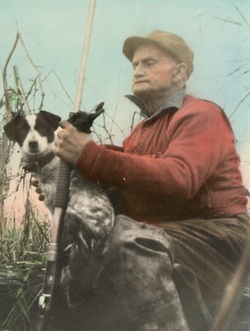 Con was an ardent sportsman all his life who liked to hunt ducks on the Mississippi River, pheasants in South Dakota and wolves in the hills around Lansing. He was a leader on the Lansing town baseball team in his 20s and 30s and he had his own orchestra where he played the violin. Con died from a paralytic stroke on June 1, 1951 at his home in Lansing, Iowa. His funeral services were held at Immaculate Conception Church with Msgr. Henry Scharphoff offering the Mass of Requiem and saying the final prayers at the graveside. Burial was in Gethsemane Cemetery and casket bearers were his nephews Charles, John Pete, Clarence, Frankie and Peter W. Spinner and Lawrence Slattery. Nora died St. Francis Hospital in LaCrosse, Wisconsin on September 1, 1965 where she had been taken just the day before. The week before her death, she enjoyed an outing around the area with Tim, Ruth and Colleen Murphy from Milwaukee, Wisconsin. Three months prior to her death, she sorrowfully parted with her youngest daughter Bernice. The funeral services were held at Our Savior’s Lutheran Church with Rev. Mathias officiating. Interment was made in the family lot in Gethsemane Cemetery with Msgr. Hintgen saying the final prayers at the graveside. Casket bearers were six nephews, John Pete, Paul, Louis, Raymond, Frank and Theodore Spinner.